It's time for everyone to accept that eSports is the future. Recently, ESPN2 aired the Street Fighter V World Championship from Evo 2016, and CS:GO's ELEAGUE has been getting airtime on TBS. This is a huge step forward! Five years ago, you'd be laughed at by jocks if you ever even suggested that your video game would be taking over some of their favorite television channels. It's a reality now. Blizzard has done a massive part in contributing to the eSports scene with games like World of Warcraft, Heroes of the Storm, Hearthstone, and Overwatch. Of the four, it seems like only Hearthstone and Overwatch really have a pulse right now. (Which might change when World of Warcraft: Legion drops this month.) But being a card game, Hearthstone is a really special case in the eSports world. 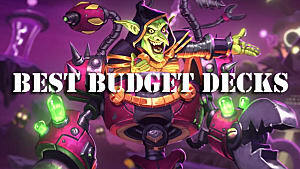 Can we expect to see big things for the future of competitive, digital card games? 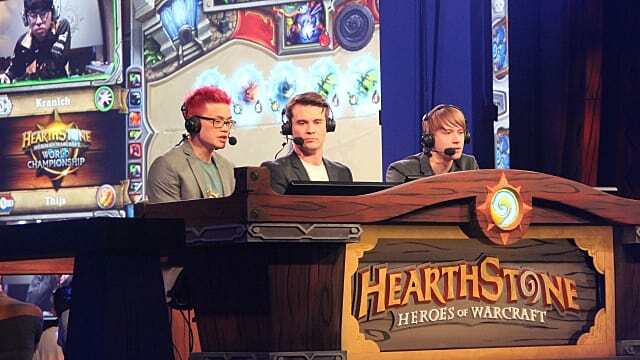 I think so, but let me introduce you to five things that Blizzard should try to work on before Hearthstone really brings its scene to that next level. This is first on the list because it's so damn important. Let's take a look into the ranked ladder systems of two of the most popular eSports out right now: League of Legends and Counter-Strike: Global Offensive. These are two very different systems because they're two very different games. Competitive FPS games have more or less always followed the same model that CS:GO is working with, but CS:GO does a great job refining the ranks. This is achieved through having so many different ranks and incorporating a measure of individual skill, although CS:GO is a team game. In CS:GO, it's hard to argue that there's some "ELO hell" like many—incorrectly—argue exists in League of Legends. However, I'd say that League of Legends' ranking system is better overall. It's more rewarding, has greater depth to it, and really presents a challenge to you as a player. It's great that the top 200 ranked players are displayed within the client, and you can see where you fall within your own tier division. Hearthstone really lacks most parts of both of these systems. It's a relatively plain system. Every month, the ladder soft resets and everyone's rank takes a hard shift backwards. You earn a star when you win a game, and lose a star when you lose a game. Ranks 21–25 require 2 stars to rank up. You can't lose stars, and you can get a streak bonus of an additional star for winning your third (and any consecutive) game in a row. Ranks 16–20 require 3 stars. You can get a streak bonus of an additional star for winning your third (and any consecutive) game in a row. Ranks 15–11 require 4 stars. You can get a streak bonus of an additional star for winning your third (and any consecutive) game in a row. Ranks 6–10 require 5 stars. You can get a streak bonus of an additional star for winning your third (and any consecutive) game in a row. Ranks 1–5 require 5 stars. Above rank 1 is Legend, which actually gives you a rank based on your overall ranking on the server you're playing on. If you're the 2,000th highest-ranked player in North America, your rank in Legend will be 2,000. Once you've reached Legend, you can't fall back down into the standard ranks. The rewards at the end of each month depend on where you've ranked. 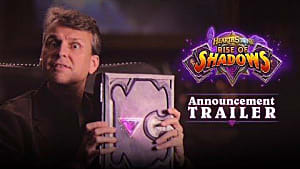 Ranking 20 and higher will unlock a permanent card back and a ranked chest based on where you finished. 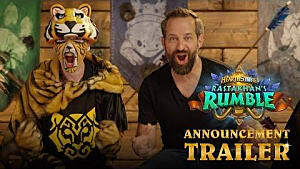 For example, Legend players will receive 3 golden Commons and 1 golden Epic, whereas rank 20 players 1 golden Common and 5 dust. The top 100 players are listed publicly in a monthly post on the Hearthstone blog from Blizzard. 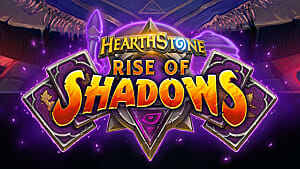 They're also eligible to receive points towards the Hearthstone Championship Tour, the official annual tournament that Blizzard hosts. Now, you're probably asking, "Well, how's that bad?" It sounds like they're doing a lot, and they actually are. However, there's a certain emptiness about each season. 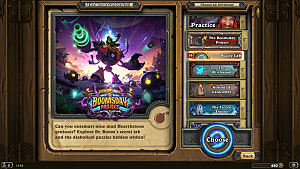 Hearthstone has mentioned numerous times that one of their goals of the client is for it to be very easy to use. However, it leaves a lot to be desired when it comes to a competitive ladder. There's no way to see who the top players are at any given time. The only way you can even see anyone's ranks is if you have them on your friends list. The aforementioned monthly post from Blizzard is the only real way you can see where anyone stands, and by then that information is outdated anyway. One of the most important things for Blizzard to do is to create a more open and transparent ladder, because that's what makes people hungry. Competitive players want to see who is ranked around them. Competitive players want others to see their rank so they can be proud of it. Hearthstone goes somewhere that no other game has gone in directly integrating ladder performance into their championship format. In Hearthstone, you don't have to be a big name. 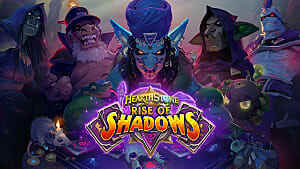 You simply have to play the game, finish near the top at the end of each month, and you'll be granted an amount of points that qualify you to participate in Blizzard's Hearthstone championship series. 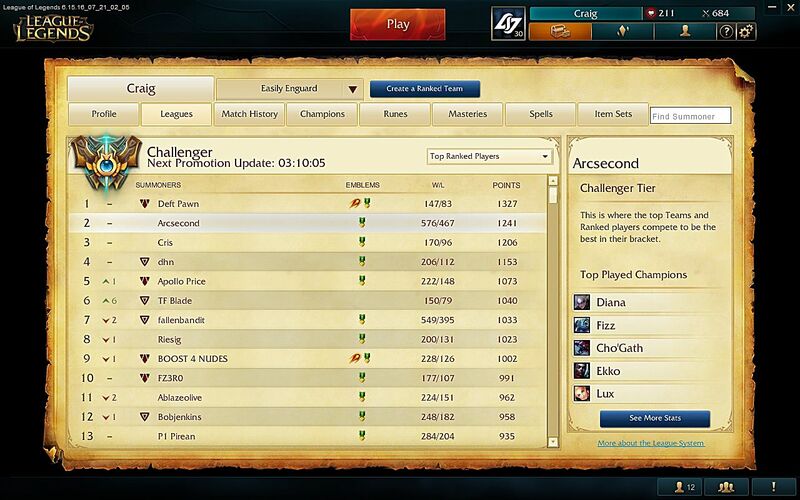 If it seems trivial as to why the in-game ladder would effect the eSport, this is why. Let me open up by saying that Blizzard has really stepped it up in terms of this lately. The Discover mechanic is exactly what I'm talking about. Card games are going to have an element of luck to them. There's nothing you can do about that. That's what a blind draw system creates. However, I think it's really bad for a competitive eSport to go overboard with it. Those of you who play Hearthstone definitely know all about the recently-nerfed Knife Juggler. For anyone who doesn't, Knife Juggler is a card that will randomly do a point of damage to any of the opposing minions (or face) when you play another card while it remains on board. It's a 2-drop, meaning it's an early game card where a single point of damage can literally decide who wins and losses. Determining the outcome of a game—on the second turn—completely randomly is not good. Though Knife Juggler did get it's long overdue nerf, there are still other offenders. This is exactly what Hearthstone needs. There is an element of surprise and randomness, but the more clever and skillful player will always be better off. While seeing Ragnaros miss five other cards and hit face for the win is definitely going to get people hyped up, it's not the most healthy thing for the competitive side of the game. That's the kind of stuff that'll drive a competitive player to quitting. Imagine training for months, playing perfectly, and then losing several thousand dollars to something like that. I hope that Blizzard continues to restrict cards that are playable in a competitive environment to being less random. It'd mean a lot to the integrity of the eSport. I love watching both League of Legends and Hearthstone. However, there's one part of watching competitive League of Legends that's probably always going to stick with me. League of Legends' Season 2 World Championship gave out free promotional codes on the stream for all viewers to unlock what is now one of the most all-time most prized skins: Championship Riven. It's Season 6 now, and accounts with Championship Riven unlocked on them are selling for well over $200 on eBay and other marketplaces. Riot recently announced that they'd be re-releasing the skin for this year's championship—which I'm not a fan of—but hey, at the very least we're being given another reason to watch! Hearthstone needs to find ways to commemorate their major events and get people watching like this. It doesn't matter if it's as simple as a card back or something as big as a new hero portrait. Anything at all would get people hyped up and watching. Hearthstone's open beta started on January 14th, 2014. The game officially launched in March of that year. It wasn't until April 20th, 2016 that Hearthstone rolled out it's first full set of true balance changes. That's over two years to address several cards that people have been complaining about since forever! Before this major patch, cards were slowly being nerfed one by one. 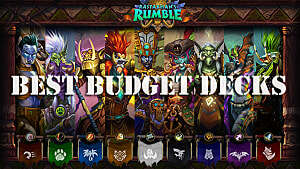 With vanilla Hearthstone down the drain and the release of the Standard and Wild formats, I think it'd be pretty appropriate for the balance team to consider making changes at the release of each new adventure and/or expansion. The Standard format has done a nice job of shaking up the meta and keeping things fresh, but oppressive cards have got to be dealt with sooner than has been done in the past. I talked about the Standard format a bit in the last headline, and now's a good place to explain more of what Standard actually achieves. Standard basically guarantees an ever-changing meta of gameplay because old adventures and expansions get phased out of the card pool. All cards from the Basic and Classic sets are playable. Only cards from adventures and expansions released in the past year are playable. This means that there's this constant rotating door of cards. That thins out the card pool so that new players don't feel so far behind if they're just now beginning to play Hearthstone. As of today, there are 1053 cards in the Hearthstone collection. Even more are about to be released with the recently-announced adventure, One Night in Karazhan. The release of Standard format retired 150 of those. It's not much, but 10% is something. That still means that new players who are interested in Standard have quite a lot of cards to collect. Of the remaining 90%, much less than half of them are actually considered playable in a competitive environment. However, you've got to consider that this isn't like a physical collectible card game where you can just go individually buy the cards you want. You're only able to buy full packs of cards, and you can never guarantee that you'll get what you want. I'm not exaggerating when I say you'll have to spend well over $500 to get a respectable card collection this way, and it's going to require a lot of dusting and crafting. As with previous examples, Blizzard is showing that they're conscious of this issue. Whispers of the Old Gods, the latest expansion, provided players with 13 free packs and the core Legendary of that set: C'Thun. This made it seem like Blizzard really wanted to give free players a chance to get their hands on an extremely powerful card that you can build an entire competitive deck around. This is awesome for new players. That's no different from League of Legends though, right? Correct. The thing is, the League community has also been complaining about this for a long time. It's incredibly daunting for a new player to realize that they have to learn and buy over 130 champions to truly understand the game from a truly competitive standpoint. It's not like that for an eSport like CS:GO. 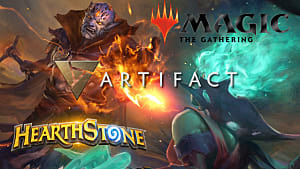 I strongly believe that there's a place for Hearthstone to be respected alongside games like Dota 2, CS:GO, SC2, LoL, Overwatch, and the other thriving eSports out there. While it's unlike those games in the way they test mechanical ability, it's a true sport of the mind. It's the golf of eSports. These five changes could go a really long way. What do you think of these proposed changes? 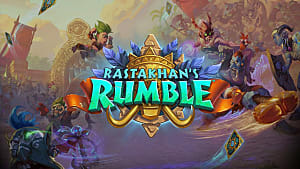 Would they help push Hearthstone forward as an eSport? Let me know what you think in the comments below!